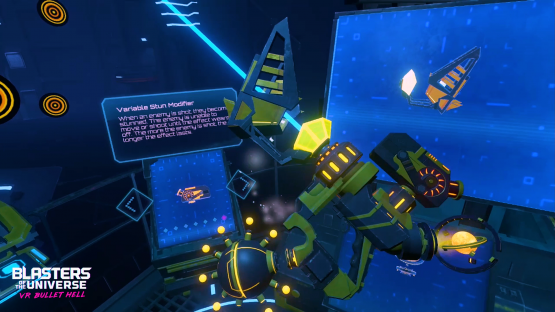 Secret Location’s Blasters of the Universe is now available on PlayStation VR, and the unique take on bullet hell shooters can be quite challenging. 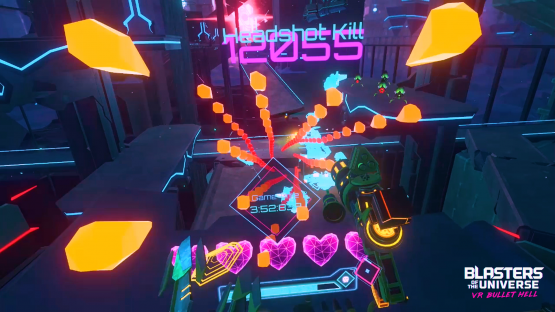 Thankfully, we got some tips from the developer on how to better survive the onslaught of bullets, and help players up their high score. Check out the list of 10 Blasters of the Universe tips below to make sure you have an advantage! Tip #1: Lead your targets. You’ll always miss enemies in motion if you’re aiming right at them. Aim a bit ahead and with practice you can destroy them before they get a chance to fire at you. Tip #2: Know when to move and when to stay put. Watch the incoming bullet patterns – sometimes your best move is to remain still and let the circle of bullets pass safely around your head, sometimes you’ll need to duck and dodge out of the way. Tip #3: Find there are a lot of enemy bullets coming at you? Rotate between crouching and standing. The bullets always target your head, but once they’re fired they stay on the same trajectory. Changing your elevation means that wave of bullets will miss you completely for the next few seconds, letting you get a jump on taking out those enemies. Beware – this can be quite the workout. 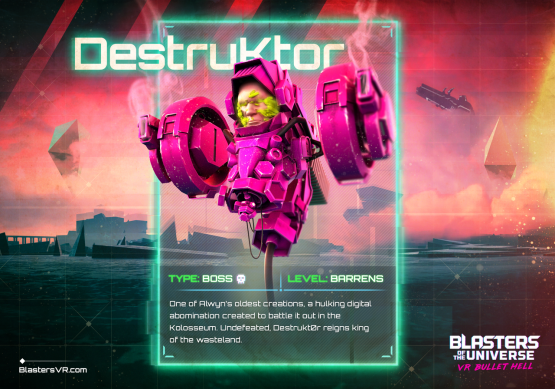 Tip #4: Having trouble with Destruktor? When the wall of shields spawns in front of you, always take out the bottom row immediately. You won’t have much time to do it after the orange crawlers spawn. Tip #5: Experiment! If you are having a tough time with a level or a Boss, go back to the Armory and try a different combination of parts and modifiers. Finding a loadout that works for your play style is half the fun. Tip #6: Always shoot down missiles. Heavy Gunners got you down? Feeling sad that they blow up your shield with one hit? 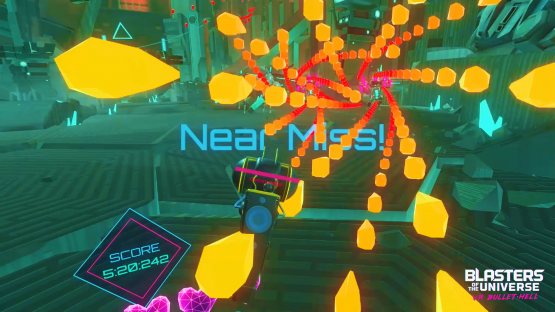 Carefully aim your shots to blow their missiles out of the air before they reach you. Tip #7: Don’t wait for your magazine to run out before you reload! Whenever you clear a wave or have a split second free, reload your blaster. Tip #8: Don’t let too many enemies pile up! Always take out the weaker and closest enemies first so that there are fewer bullets to worry about. Tip #10: Throw your shield! If you throw your shield at a bullet or a missile, it will still protect you, but you can respawn it with full health right after you let go. Blasters of the Universe is available now for PlayStation VR.